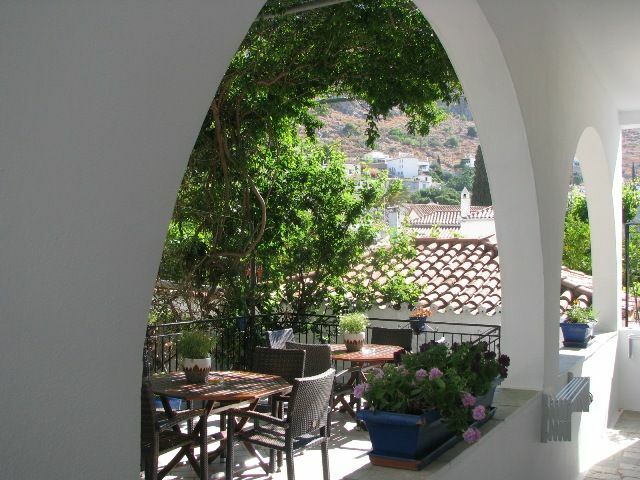 The relaxing sound of horses passing by from our alley window, the peaceful breakfast served in the courtyard, the bougainvillea and the tranquility of the vineyards and Hydra's mountains, the rooftop terrace with its stunning views...I don't know what I liked more in Sidra hotel. We felt very welcome and at home at this charming little hotel. 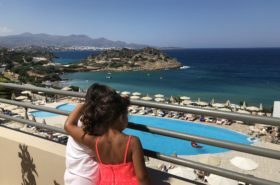 This is my review of our stay there during a weekend escape with Travel Bloggers Greece in May of 2017. 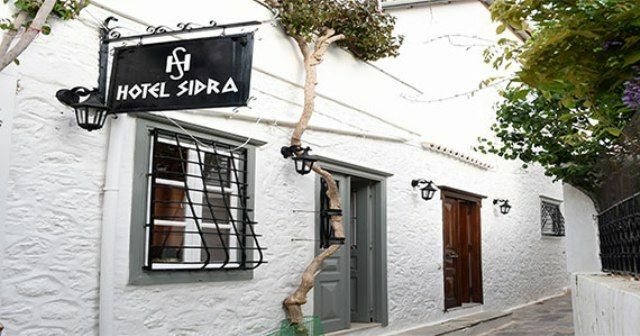 Hotel Sidra is a B&B, a 3-star accommodation housed in several beautiful old picturesque Hydra style houses connected by open spaces and a pretty courtyard. One of the buildings has functioned as a sponge factory in the past. The connecting houses are now turned into 16 spacious and light rooms with big windows and or balconies. Some rooms are located on the ground floor overlooking the courtyard. Others are on the second floor connecting to the sun terrace. Our room was on the street side of the hotel. Even though people were passing from our large windows at times, it was extremely quiet in the room. Sidra hotel has several room types that are good for families. I, a single mom with two girls, had a bedroom with three single beds. This was very convenient and better than the usual double bed with one single. But for couples with one child, there are also triples with double beds and quadruple rooms with three beds and a sofa. 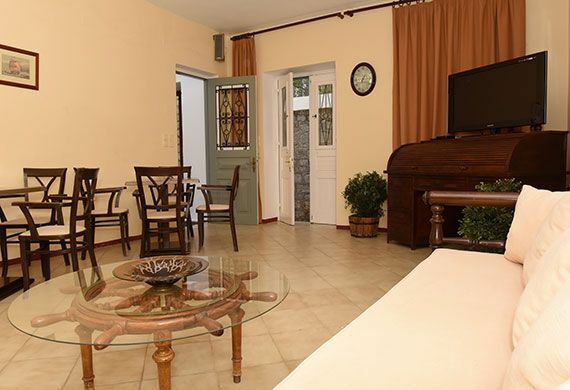 The rooms are very spacious and it would be easy to fit a baby cot as well. The beds were basic but comfortable. The room comes complete with spacious storage, wardrobe, hairdryer, small TV, mini-fridge and a bathroom with shampoos and soaps. There are babycots available too. If you’re not familiar with Greek boilers, the host will show you how to switch the boiler on for 10 minutes before you have a shower. 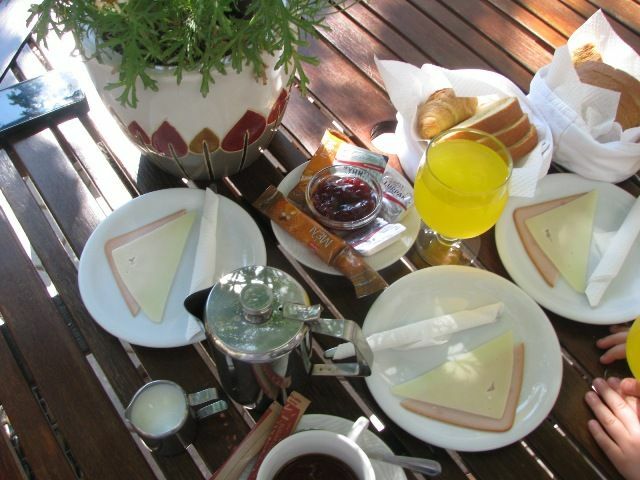 The hotel offers a simple breakfast with cheese, ham, a breadbasket, jams, and honey along with orange juice and tea or coffee. We really enjoyed having our food in the courtyard with the flowery walls and beautiful view – it gave us such sense of coziness and tranquility. 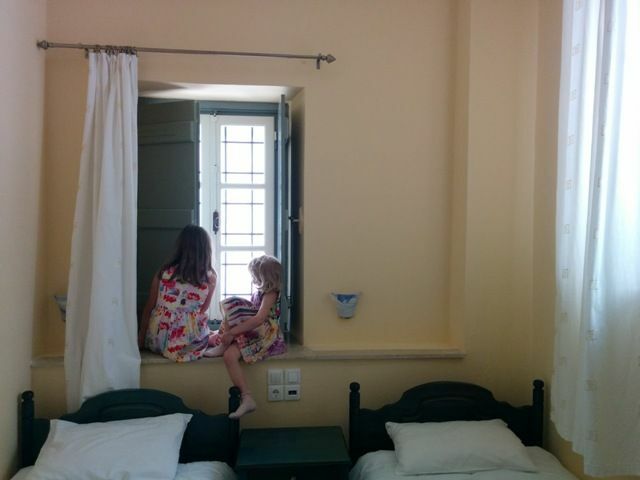 It happened to be my birthday during our stay and I could not have thought of a better place to celebrate; with my babies in a beautiful old house overlooking mountains and gardens. 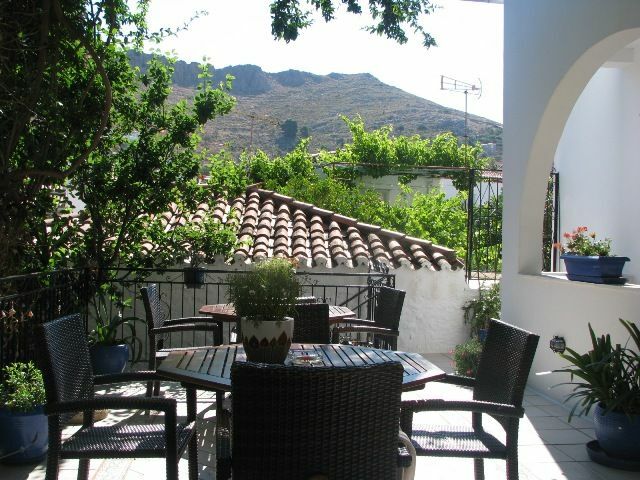 Breakfast can also be served on the sun terrace. 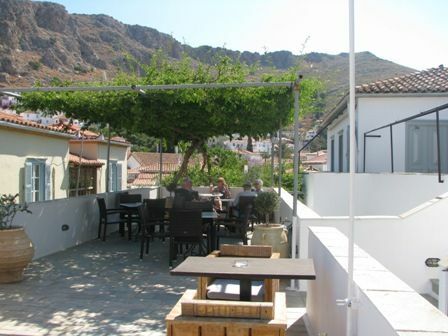 The terrace has is party covered offering shade and offers amazing views of the town, the mountains, and the vineyards. The hotel has a large living room with plenty of space for everyone to hang out. Here are games, books, and a TV. Although located very close to the port, it is very quiet at Sidra hotel. The central entrance is located in a small alley. 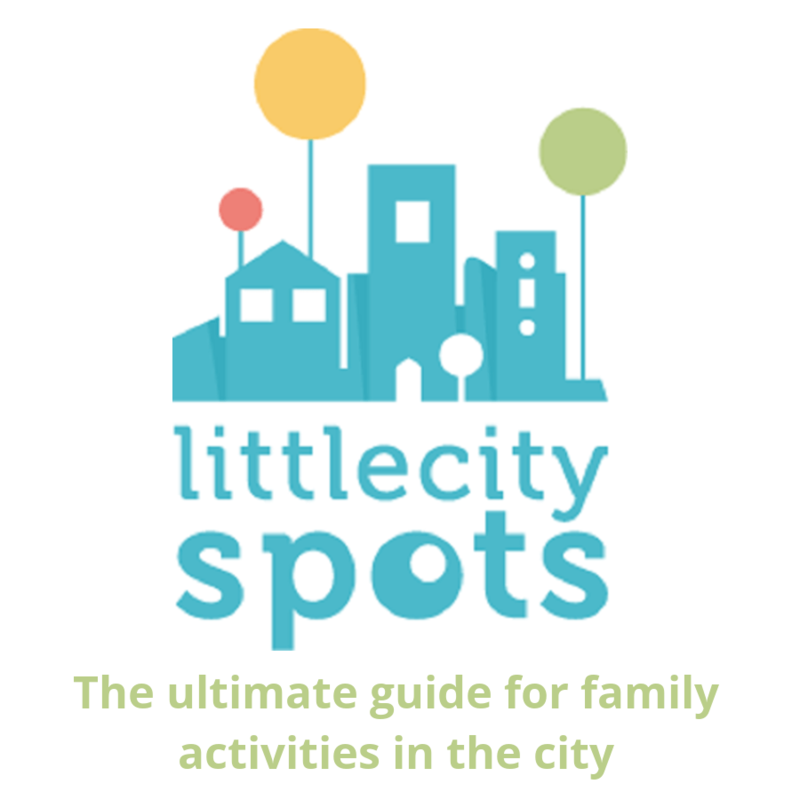 For families with strollers and young children, I would recommend the ground floor rooms. The rooms located on the second floor are overlooking the sun terrace. A perfect place to have breakfast in the morning or a drink in the evening. Because the rooms are all located around the courtyard or the sun terrace, it is very inviting to leave the room and use these communal spaces for relaxing. It makes Sidra hotel a great place for a small or a longer holiday. The hotel offers beach towels, a very helpful extra for families with young children. We don’t want to carry around much luggage and beach towels being provided is a big help. There was also a place to hang our wet swimsuits and a small fridge in the room where we kept our fruits and cold drinks. Our host Michalis at Sidra hotel was very kind and helpful. We felt much welcome, the children were free to move around, our questions were answered and help was always available. The hospitality at Sidra hotel made us especially feel at home. 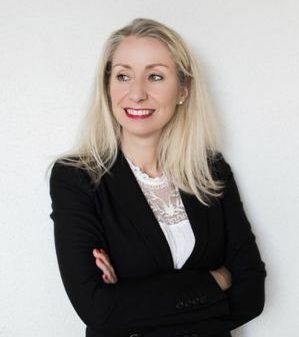 Hotel Sidra is centrally located in a small street at a distance of 50 meters from the picturesque port near the Town Hall and a small supermarket. There are no steps or stairs to reach the hotel. 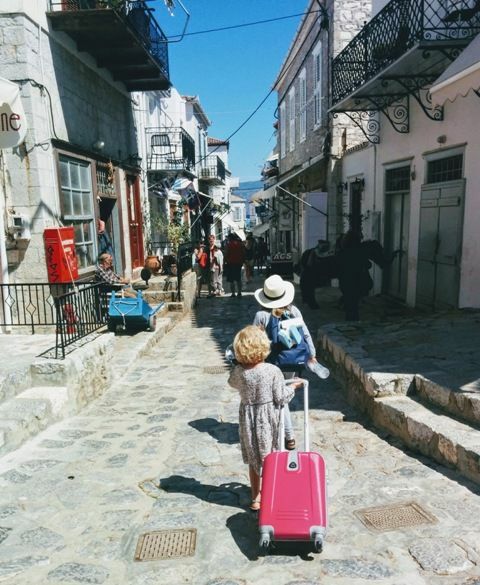 My children walked from our ferry boat straight to the hotel in less than 5 minutes carrying their own suitcases. I find the location of Sidra Hotel a very big plus. We were so near all the sights, the water taxis in the port and it was easy to explore the island from our hotel. After our excursions in the afternoons, we had a quick shower in our room and did not waste much time going back and forth to the hotel. We were back in the port to continue our night immediately. Would I come back to Sidra? Yes, I would! 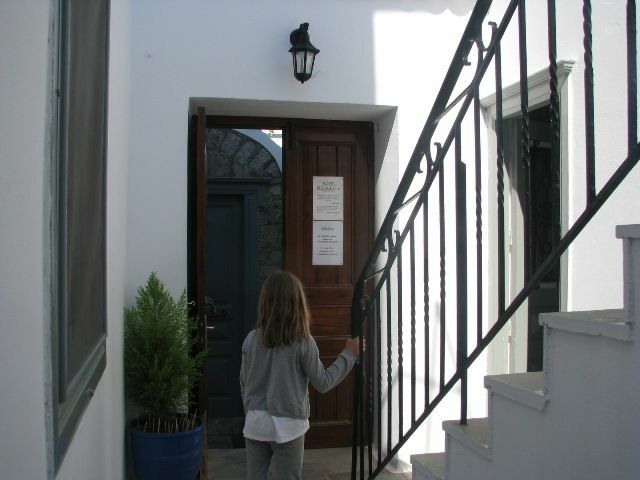 An affordable simple but charming hotel with warm service. 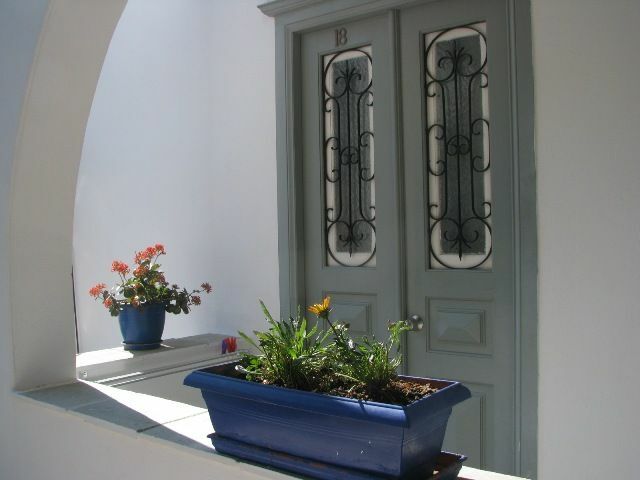 Prices: Room prices vary but start from 55 Euro depending of one season and the room type. For more information, you can visit the website of the hotel.